We work with the best mobile phone brands for business, including Apple, Samsung and more. Are you looking for cheap deals on mobiles from top brands? Our close relationships with smartphone manufacturers allow us to offer the latest devices at great prices! As soon as the big names release a cool new iPhone, Samsung Galaxy, or something else, we add it to our range, so our customers always get the best. Select a brand to browse through our amazing deals. Choice is so important when you're looking for a new business mobile contract for your enterprise, and the choosing the right manufacturer is important for everyone. Manufacturers offer vastly different hardware and software, both of which will affect how you can use your phone for communications, research, marketing and various other aspects of business that smartphones are now vital for. That's why A1 Connect is proud to be able to deliver the latest and greatest business mobile phones from all the leading manufacturers. The ones we work with offer different advantages and strengths, which we weigh against each other so that you can make an informed decision to find the best phone for your company. We stock handsets designed by companies to give businesses just like yours the extra help they need. With an incredible scope of makes and models from the likes of Apple and Samsung on offer, we're confident that we've got the perfect device for your specific business needs. 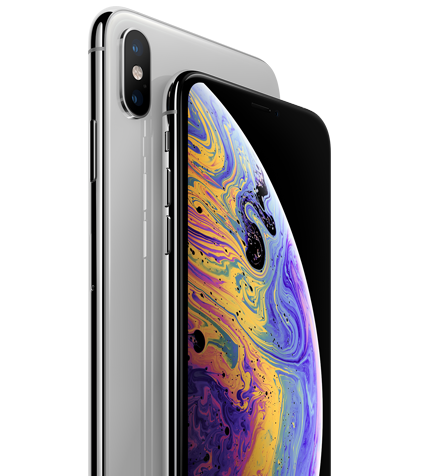 The manufacturer also affects the software that's available for your phones - Apple phones will only work with software from the App Store, whereas other phones work with Android. Make sure that you know which OS will suit your business best and, if you don't, just have a chat with one of our helpful team members. As part of the A1 Comms Group, A1 Connect has been reducing the costs of companies just like yours for over two decades, all whilst delivering mobiles which boast the latest technology and features. Business mobile phones are preloaded with amazing business and time management apps by their respective manufacturers, so your productivity is sure to skyrocket, no matter which one you choose. There are also a whole host of apps available from each operating system-specific store, namely the App Store and Google Play Store. Business mobile phone manufacturers are constantly competing to deliver the best product to help companies in their day-to-day tasks and allow them to concentrate on improvement and growth. This is good news for owners and managers like you as updates, developments and design revolutions are constantly being rolled out with new features to take your company even further. For devices from the world's leading manufacturers, you're in the right place. Please feel free to take a look around our site and see for yourself the fantastic business mobiles we have on offer. Don't forget, if you have any questions, we're always on hand to answer. Contact us today, by telephone or email, and a friendly and knowledgeable member of our team will be glad to talk you through anything you're unsure about. We know that when it comes to phones there's a lot to think about, even just in terms which manufacturer you should go for, so our team are always on hand to give advice or just chat about what you want from a business mobile.